Including your address and phone number will help us serve you better. 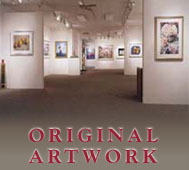 Leslie Levy Fine Art never shares your personal information. Inquiry About: Will Rafuse - "Canter's Deli/Bakery"